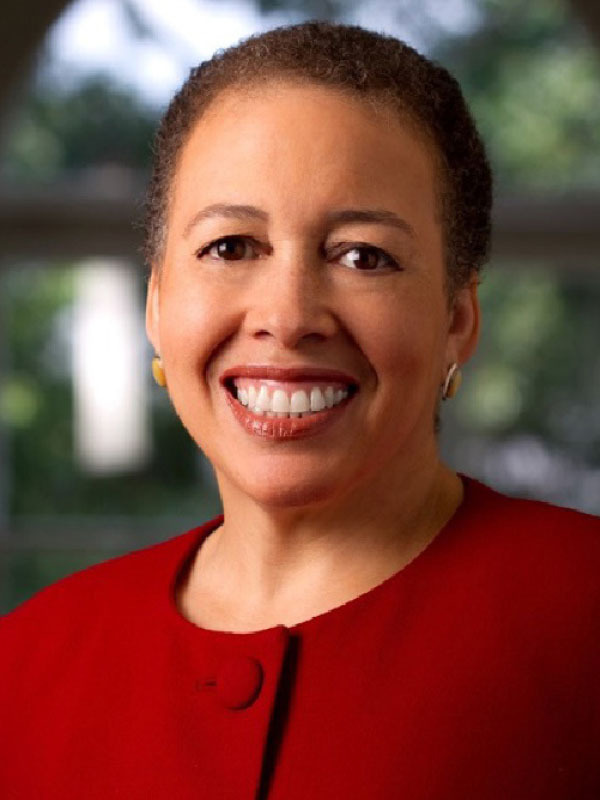 Scholar, teacher, author, administrator, race relations expert, licensed clinical psychologist, and past president of Spelman College, Beverly D. Tatum was recently named the keynote speaker at the leadership enhancement series included in NACUBO’s five signature programs in 2018. As the ninth president of Spelman College—a historically black college for women—Tatum helped elevate the institution to a widely recognized liberal arts college. During her tenure (2002–15), the Center for Leadership and Civic Engagement (LEADS) was created; and, in 2008, a gift of $17 million established the Gordon-Zeto Fund for International Initiatives, which increased the opportunities for international travel for students and faculty. In the years that followed, Spelman doubled scholarship support for students, and significantly expanded opportunities for faculty research and development. Through the Every Woman, Every Year initiative, launched in 2016, alumnae support of the annual fund has grown to about 40 percent. Tatum’s tenure at Spelman also saw several campus improvements, including campus expansion and the award-winning renovation of four historic buildings. In 2008, completion of the “green” residence hall increased housing capacity on the campus by more than 25 percent, and signaled the college’s commitment to environmental sustainability. The Suites, Spelman’s green dorm, is the first LEED Silver–certified building on a historically black college or university (HBCU) campus. Strengthening its commitment to environmental sustainability, the Spelman College Board of Trustees adopted the policy that all new construction and renovations would be completed at no less than LEED Silver standards. Prior to her Spelman tenure, Tatum served as acting president of Mount Holyoke College, South Hadley, Mass., where she held multiple positions, including those of professor of psychology and education, chair of the department, dean of the college, and the vice president for student affairs. Before moving into administration, Tatum served as faculty at Westfield State College (now Westfield State University), Westfield, Mass., and lecturer at the University of California at Santa Barbara. Nationally recognized on the topic of race relations, Tatum has authored several books on race. Her recently updated 1997 book, Why Are All the Black Kids Sitting Together in the Cafeteria? And Other Conversations About Race (Basic Books, 2017), was recommended by the New York Times as required reading for private school teachers and administrators in the New York area. Another book, Can We Talk About Race? And Other Conversations in an Era of School Resegregation, (Beacon Press, 2008) probes the impact of continued segregation in public schools. At NACUBO’s signature programs—Endowment and Debt Management Forum, Student Financial Services Conference, Higher Education Accounting Forum, Planning and Budgeting Forum, and Tax Forum—Tatum will discuss the topics of leadership and racial identity in higher education. The 2018 NACUBO Student Financial Services Conference, to be held March 11–13 in Orlando, will feature speakers from a diverse pool of institutions, who will share their experiences, solutions, and best practices in a variety of areas, such as collections, payment processing, new technologies, compliance, and customer service. This comprehensive conference covers the many policy, technical, and management issues impacting student financial services operations on campus. Bursars, student financial services directors, loan collectors, financial aid administrators, and staff will find great value in plenary sessions addressing big picture issues and legislative and regulatory developments, and concurrent sessions covering a wide range of topics. This annual program is designed for bursars, controllers, business officers, financial advisers, financial aid administrators, integrated services staff, student financial services directors, and student loan managers. At the program, attendees can expect to learn how to lead change, manage staff, and illustrate how to work cooperatively across offices; recognize ways to increase efficiencies and improve services to students; and learn about the latest regulatory and policy changes, and assess how they may impact their institutions. An active exhibit area allows participants easy access to more than 20 service providers. As always, there will be opportunities offered throughout the program to network with colleagues, speakers, and exhibitors. For more information and to register, visit www.nacubo.org and click the “Events and Programs” tab. NACUBO continues to offer its distance learning webcasts and livestreaming programs to view as on-demand videos after the original air date. Available sessions include topics related to financial analysis, technology, campus protests, Washington updates, and more. The most recent broadcasts, in November, focused on tax-related topics, including a webcast dedicated to the latest information on IRS Form 1098-T, as well as a special update on the recent tax reform legislation. Understanding Form 1098-T. More than 750 participants viewed the 75-minute webcast, NACUBO Update on IRS Form 1098-T: The Form Everyone Loves to Hate, to hear from campus experts and NACUBO staff about recent changes and current obligations for colleges and universities. The panel included Brandon Cline-Taskey, university bursar, James Madison University, Harrisonburg, Va.; Joel Levenson, associate controller, University of Central Florida, Orlando; Liz Clark, NACUBO’s director of federal affairs; and Anne Gross, NACUBO’s vice president of regulatory affairs. The speakers discussed the issues surrounding the latest information on Form 1098-T, in addition to best practices, both in meeting compliance requirements and serving students and families. Tax reform and what it means. Considering the November 2 release of the long-awaited tax reform bill, NACUBO held a special webcast, complimentary to NACUBO member institutions, to inform participants on measures in the House tax reform bill. More than 650 people viewed Make Your Voice Heard: Tax Reform Hits Higher Education Hard, in which Liz Clark, NACUBO’s director of federal affairs; and Francine Newsome Pfeiffer, vice president of federal relations, Rutgers University, New Brunswick, N.J., covered topics related to charitable giving, endowments, and tax-exempt bonds, as well as the implications for institutions of higher education and provisions that impact students, families, and employees. To view these webcasts, in addition to other recent recordings, please visit www.nacubo.org and click on the “Distance Learning” tab.